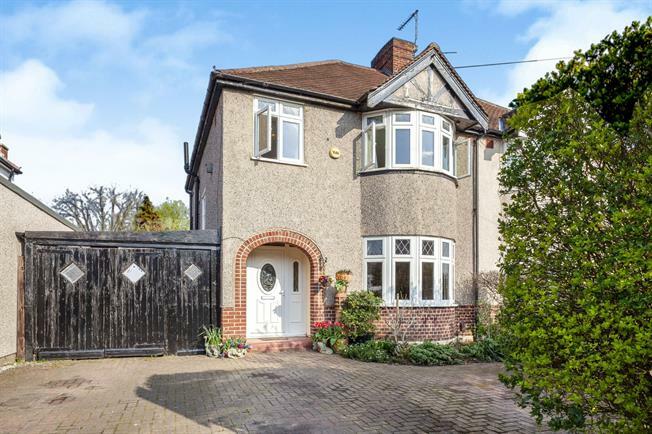 3 Bedroom Semi Detached House For Sale in Worcester Park for Asking Price £585,000. A three bedroom semi-detached house with scope to extend subject to the usual planning consents. This family home has two good size reception rooms with a more formal lounge to the front of the property and a dining room with patio doors to the rear garden. The property has an extended kitchen with a range of base and eye-level units. The first floor provides three bedrooms and a family bathroom with a pretty roll top bath, separate shower unit and separate WC. Off street parking and a garage complete this home. Kinross Avenue is well located for access to Worcester Park station which provides a regular service to London Waterloo in under thirty minutes. As you would expect from a busy and vibrant high street there are a good selection of shops, bars and restaurants including a Waitrose, Costa coffee and a Sainsbury's local. There are also a number of well regarded local schools in the area.